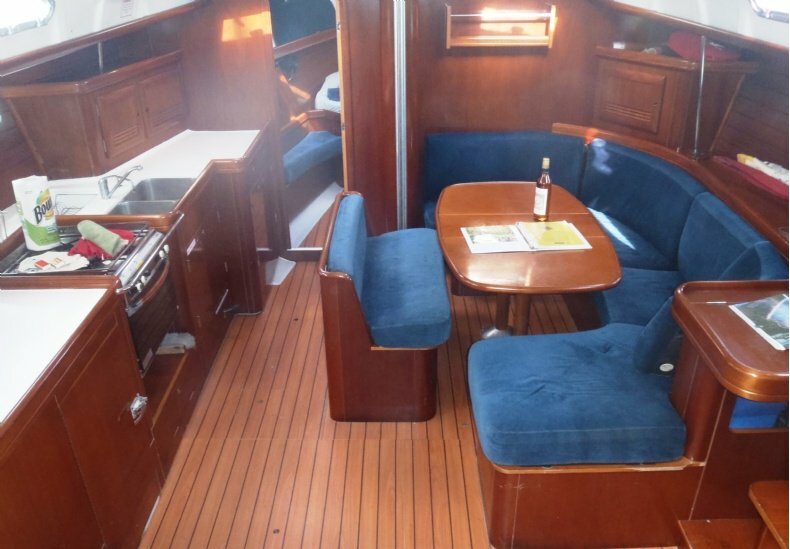 The main salon is perfect for dining and entertainment, Six guests can live aboard very comfortably with 3 double cabins and 3 heads. 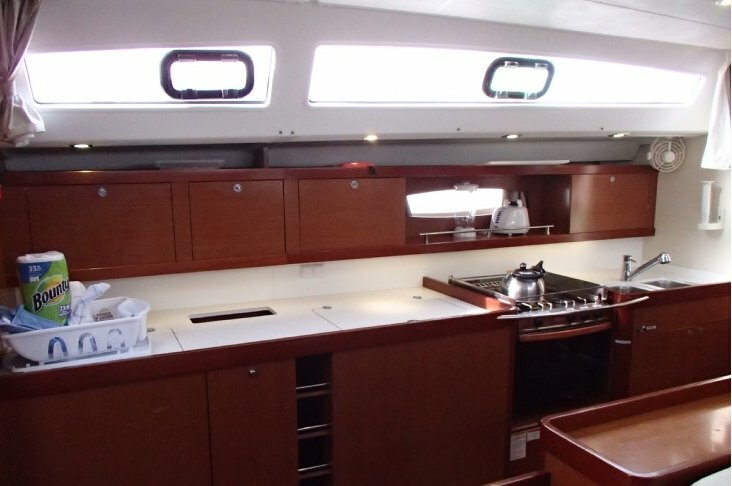 The spacious galley can even accommodate a head chef and sous chef at the same time. 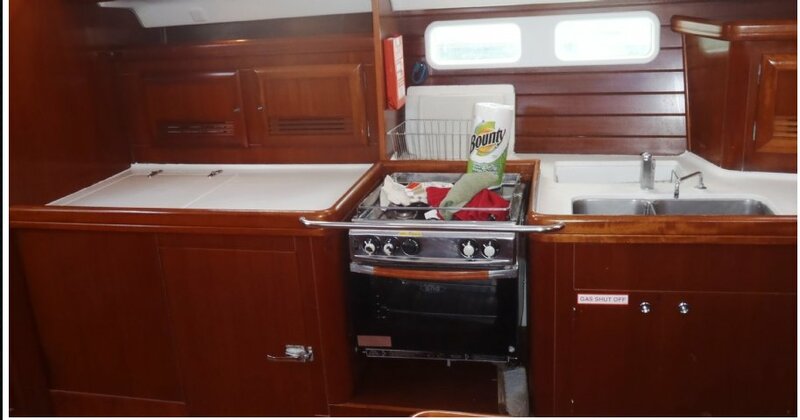 Each area has its own electric fan. 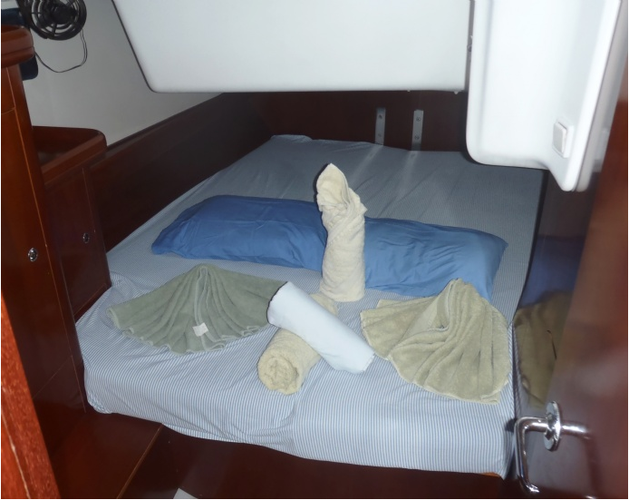 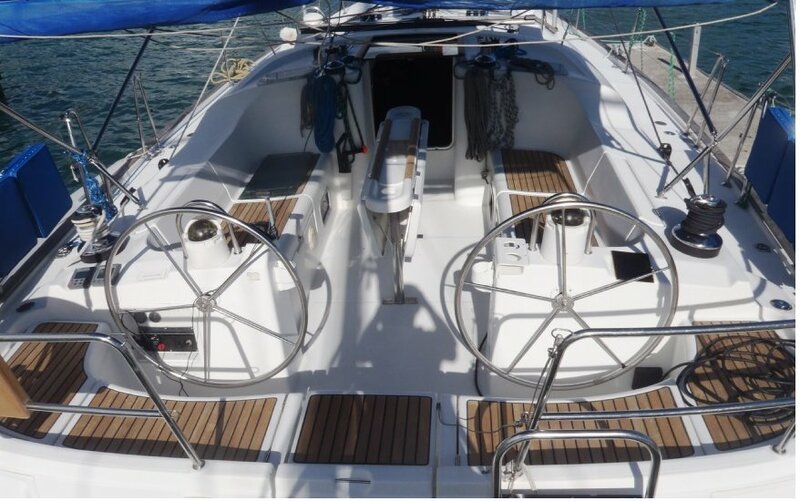 The roomy cockpit is perfect for relaxing or dining under the bimini. 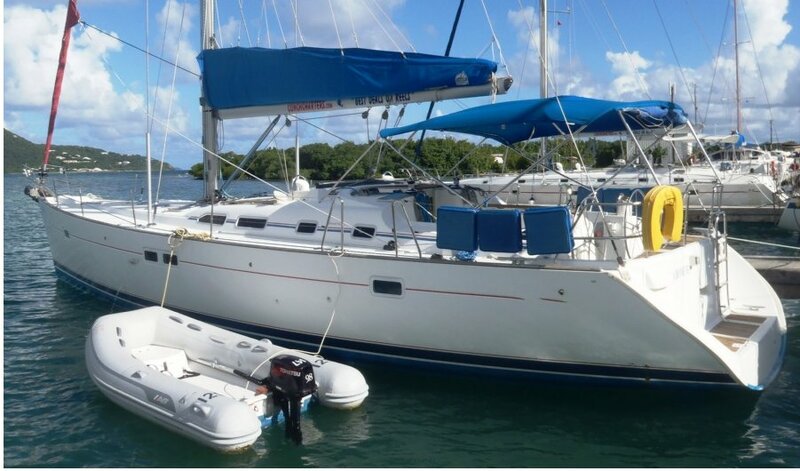 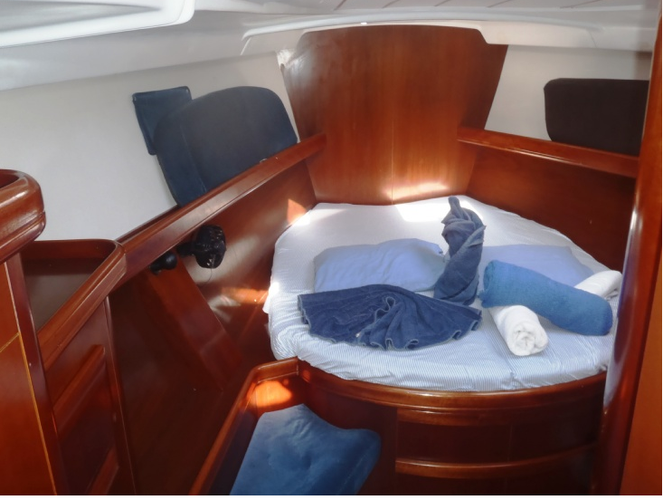 This Beneteau was designed for performance and comfort! 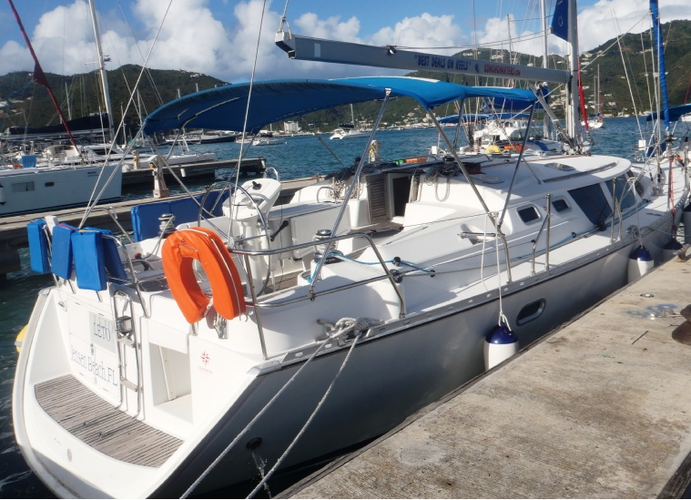 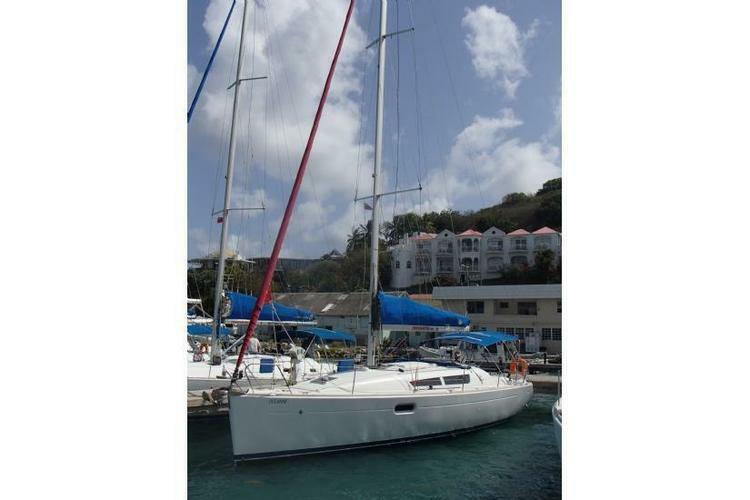 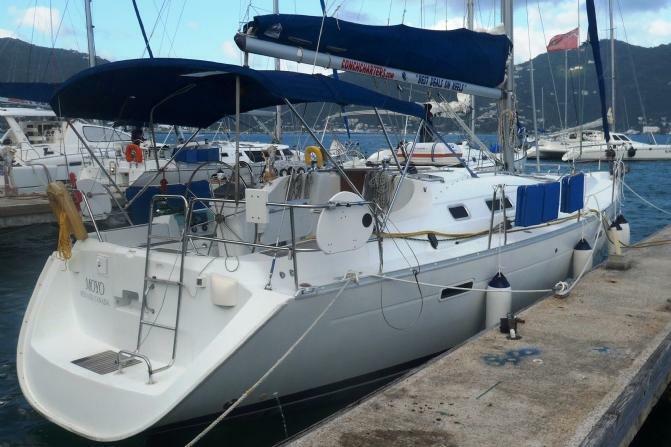 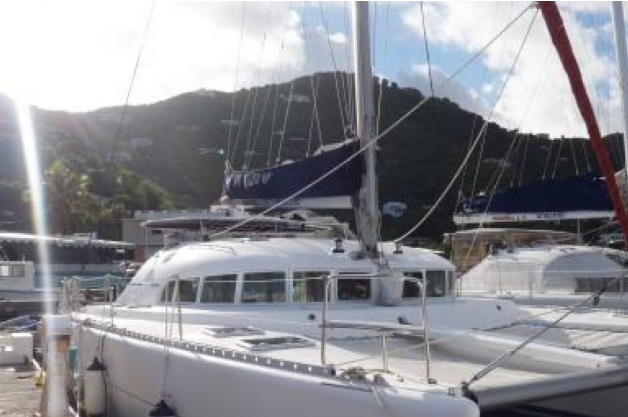 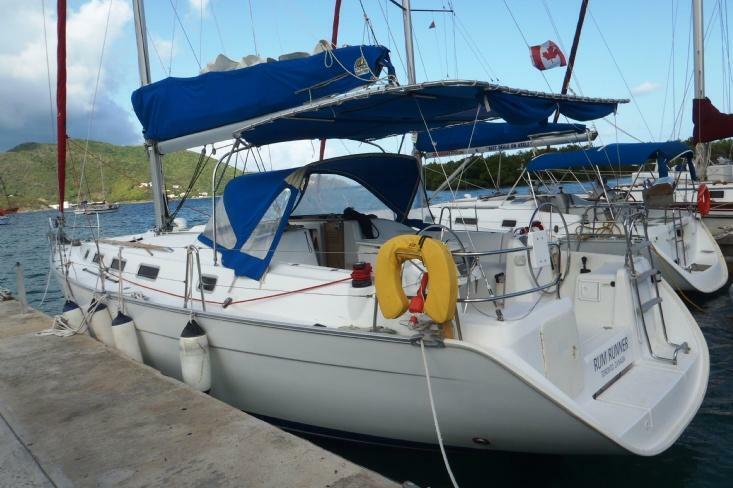 One of the most economical BVI Cats! 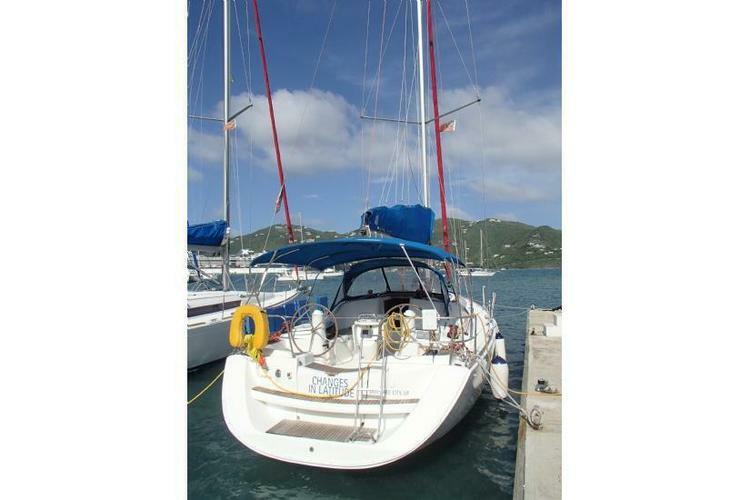 This Sloop is Calling for You To Come Sail Away!